Do you ever come up with a recipe you just don't know what to call? Pie? Bake? Crustless Pie? Cake? Egg Bake? Savoury Thing? Souffle? Crunchy Outside Soft Inside? Quiche? Frittata? I have no idea-atta? That's what this recipe is. These recipes come about when Kristy starts experimenting with ingredients, throwing things together, crossing her fingers and hoping for the best (and apparently talking in third person too). What came out of this experiment was a brand new delicious dinner dish that was unlike anything I had ever made - and incredibly healthy too? So what is it? I still haven't figured that out - but let me explain. 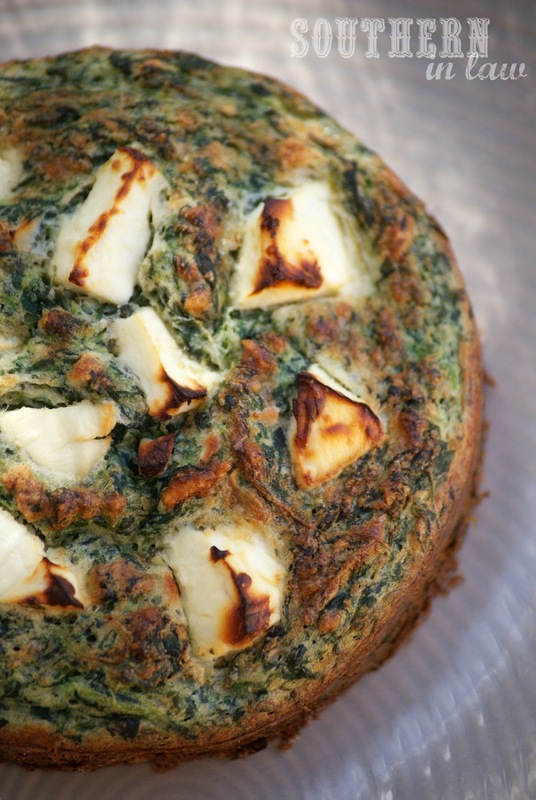 The inside of this bake is soft and filled with flavour, surrounded by a crispy, crunchy crust and topped with soft bursts of feta cheese. Stop drooling - you need to get making! So I better give you that recipe!! 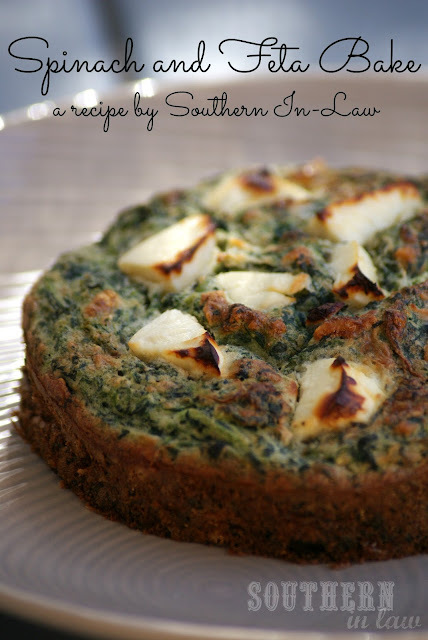 Combine all ingredients except for feta cheese in a medium mixing bowl, mixing until combined. Pour mixture into a greased and lined 8" round cake pan or 3 individual baking tins (I used mini spring form tins that are about 4.5"). Top mixture with feta cheese chunks and place into the oven. Bake until a skewer removes clean and the tops are golden - about 20-30 minutes. Note: This recipe freezes really well! Just pop the individual bakes or slices into zip lock bags, pushing out all of the air and freeze! All you have to do when you want to eat them is defrost them in the microwave or by leaving them out for a couple of hours and then popping them into the oven (or microwave) to reheat. So tell me - what do you think I should call this? Other than delicious - of course! 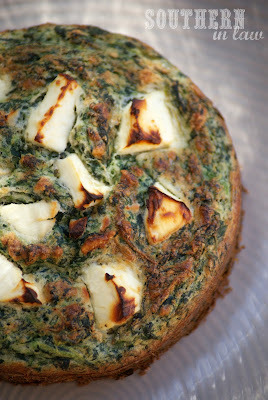 This looks so so incredible, I love spinach and feta, most divine combination ever in my eyes! It's definitely a winning combination, isn't it! Wow, definitely amazing! 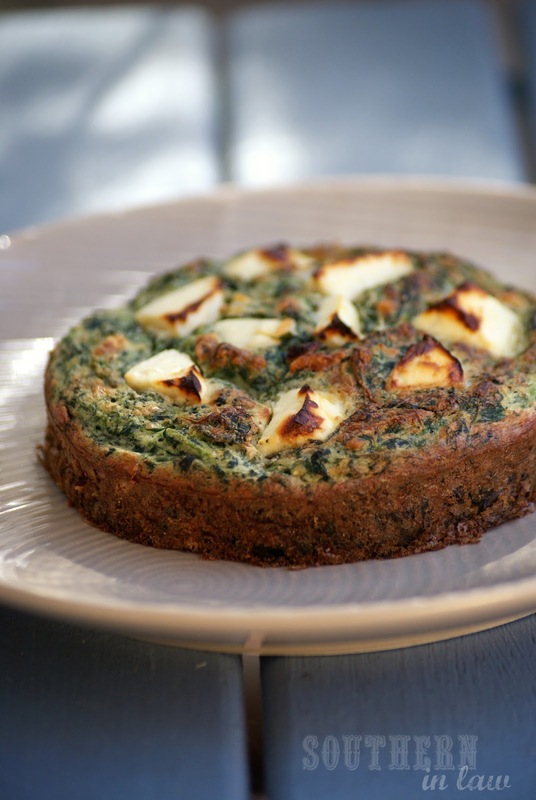 Savoury cake with a dash of health with spinach added!! Loved the picture.